Make no mistake I think the Cutler-Bell Prize is an outstanding award. I love that it recognizes early computer scientists (high school students!) for outstanding achievement. This year's winners appear (based on the names) to be computational focused magnet schools. On one hand that such schools exist is great and even exciting. On the other hand I worry about the kids who have great interest in computer science but who don't get the opportunity to spend several high school years learning the cool stuff and working on great projects. Will the publicity for this award motivate more school districts to set up more similar magnet programs? Or perhaps at least look at expanding the CS offerings they offer? I hope so. In the mean time I congratulate these students. It looks like they have done some serious work and I wish them great success in the future. ACM and the Computer Science Teachers Association (CSTA) have announced the 2016-2017 winners of the Cutler-Bell Prize in High School Computing. Three high school students were selected from among a pool of graduating high school seniors throughout the US. Eligible students applied for the award by submitting a project/artifact that engages modern technology and computer science. A panel of judges selected the recipients based on the ingenuity, complexity, relevancy and originality of their projects. The Cutler-Bell Prize promotes the field of computer science and empowers students to pursue computing challenges beyond the traditional classroom environment. In 2015, David Cutler and Gordon Bell established the award. Cutler is a software engineer, designer, and developer of several operating systems at Digital Equipment Corporation. 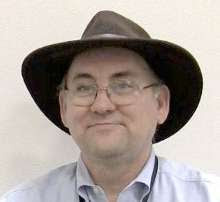 Bell, an electrical engineer, is researcher emeritus at Microsoft Research. The winners are Elizabeth Hu, Thomas Jefferson High School for Science and Technology (Virginia); Avi Swartz, Cherry Creek High School for Computational Biology (Colorado); and Aaron Walter, Yorkville High School for Computer Science (Illinois). Their submissions ranged from using data to study refugee migration models; determining type and quantity of protein components in biological samples; and a software program that evaluates students’ understanding of curriculum components. Each Cutler-Bell Prize winner receives a $10,000 cash prize. 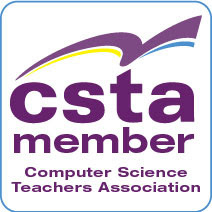 This year’s recipients will be formally recognized at the Computer Science Teachers Association’s annual conference, July 8-11. Aaron Walter is one of my students and Yorkville High School definitely isn't a magnet school. We are a typical public school that just has some pretty good computer science courses. A good computer science program can be created in a traditional public school, but it takes support from admin and a teacher with the willingness to pursue the program.